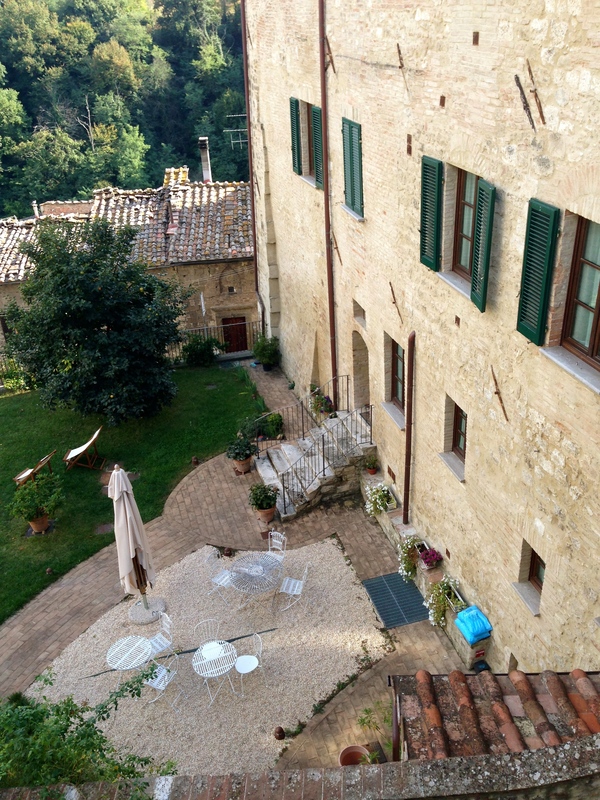 For our second year anniversary, Tommy and I decided to visit the tiny town of Colle di Val d’Elsa, about 30 minutes from Siena. I had been wanting to visit this city because I’ve heard about a phenomenal two Michelin star restaurant located there called Arnolfo. Cute Bed and Breakfast Where We Stayed. 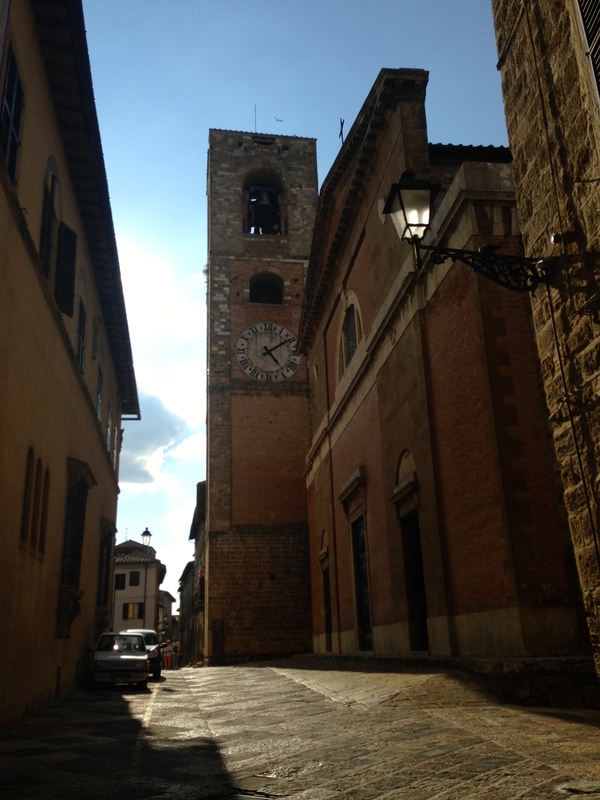 Strolling Through Colle di Val d’Elsa. 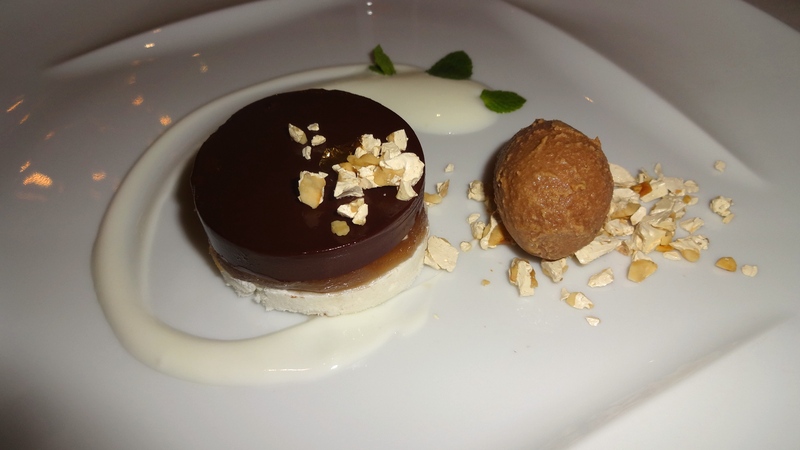 Arnolfo is located inside a hotel and the ambience is absolutely beautiful and classic. 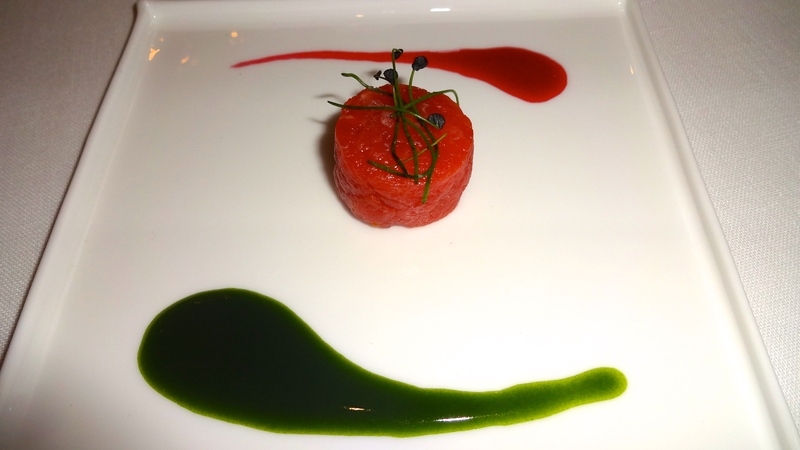 Amuse Bouche: Beef Tartare with Beetroot and Chlorophyll (7.5-8/10). 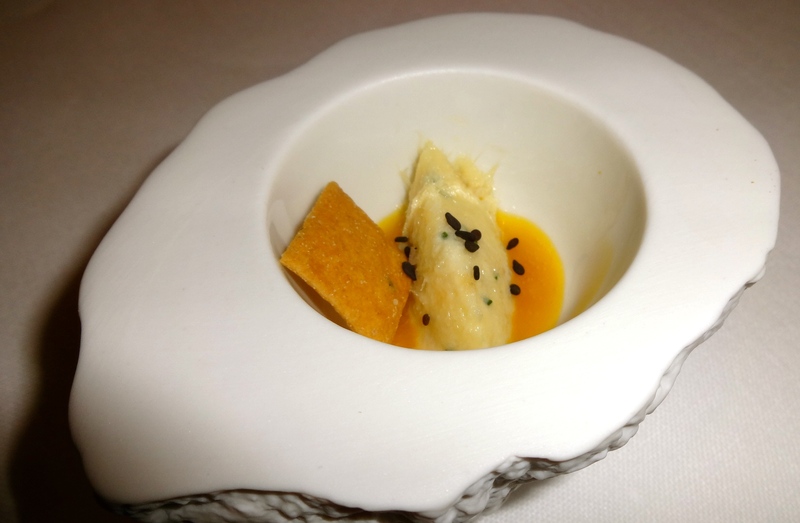 Amuse Bouche: Creamed Sea Bass with Passion Fruit Sauce (7.5-8/10). 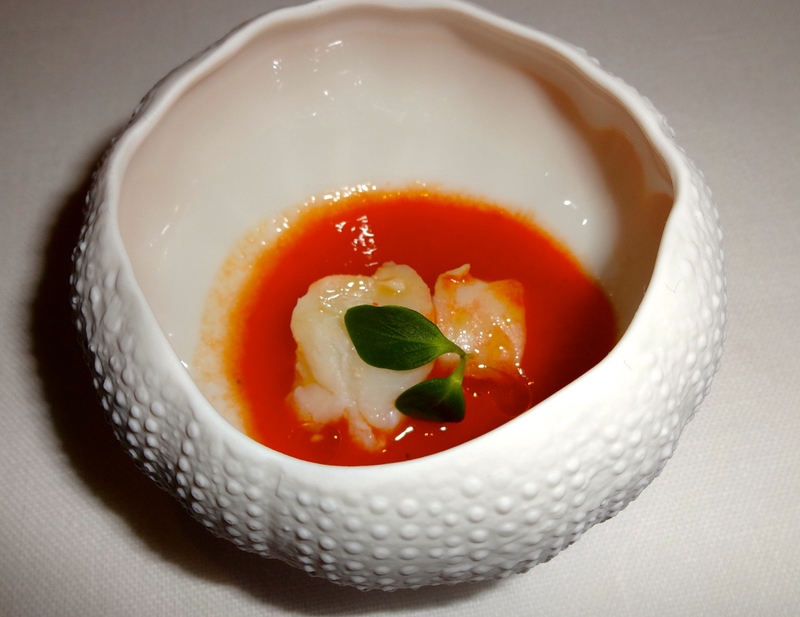 Amuse Bouche: Gazpacho with Raw Shrimp (7/10). 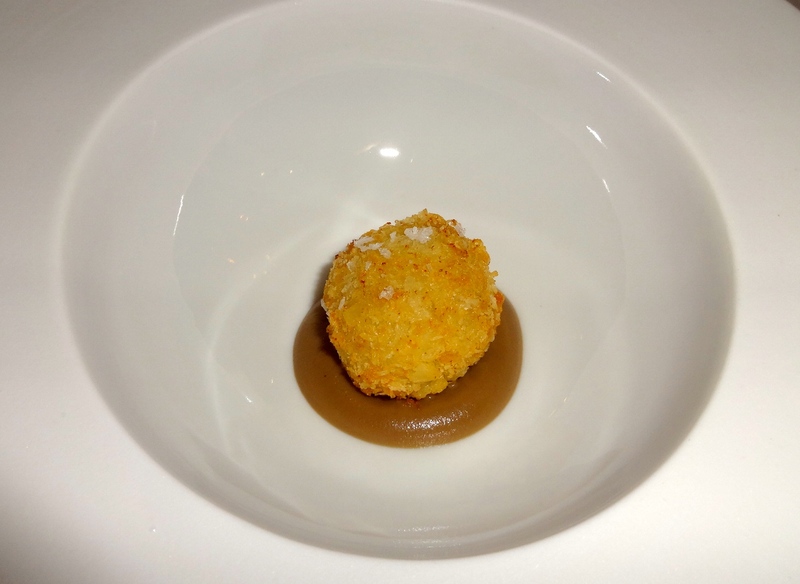 Amuse Bouche: Guinea Fowl Croquette with Porcini Mushroom Cream (7.5/10). 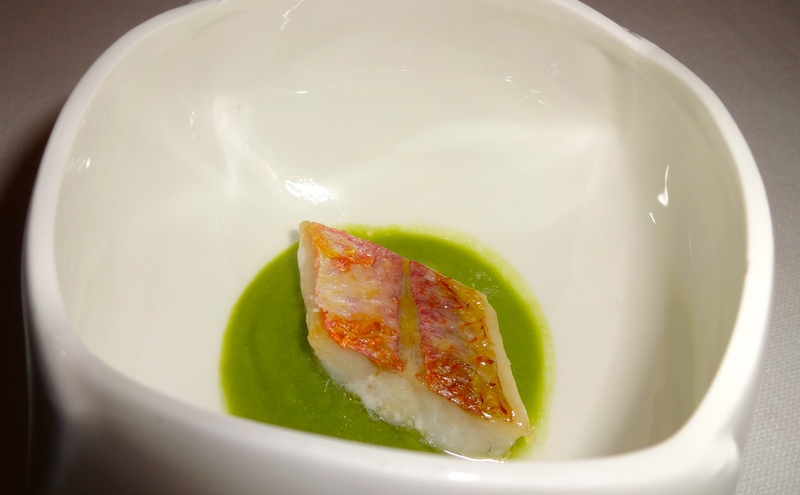 Amuse Bouche: Red Mullet (6/10). 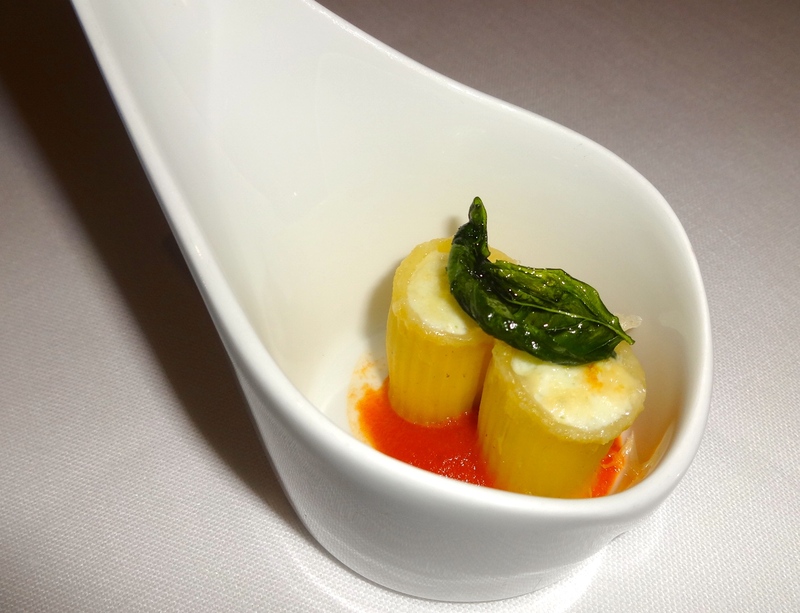 Amuse Bouche: Mezze Maniche Pasta with Cheese and Tomato Sauce (7/10). 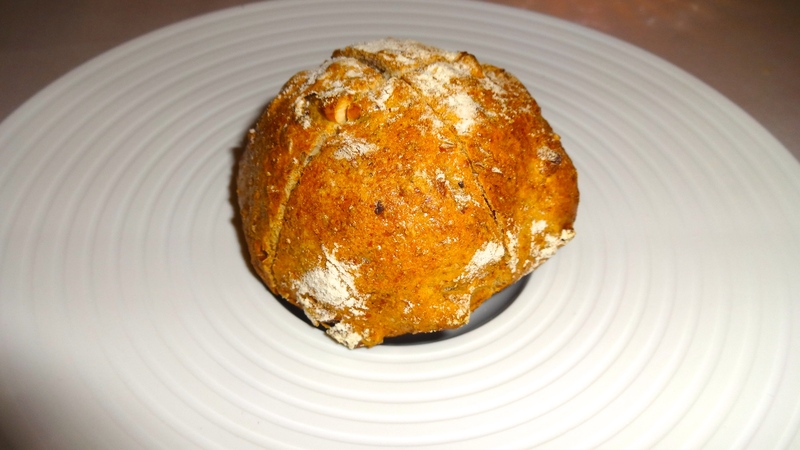 Onion and Tomato Bread (8.5/10). Langoustine with Foie Gras, Pâté, Crumble, and Passion Fruit Sauce and Sorbet (9.5/10). Rabbit with Sorana Beans, Onions, and Taggiasche Olives (7.5/10). Scallop with Vanilla Cauliflower Cream (8.5/10). 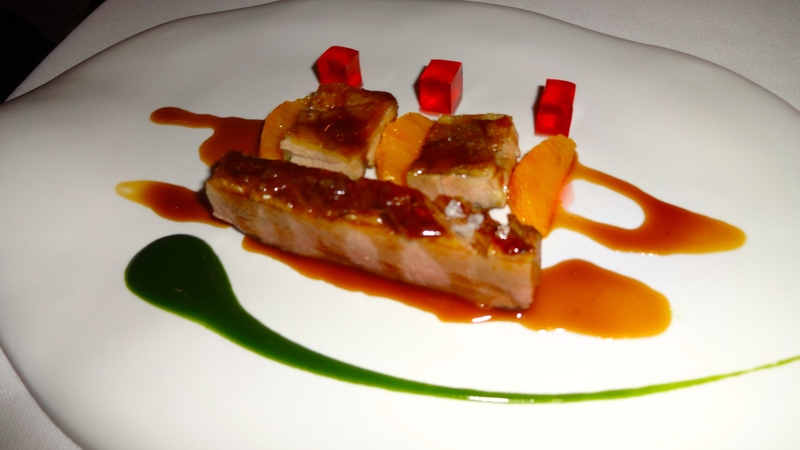 Duck with Orange and Campari Jelly (7/10). 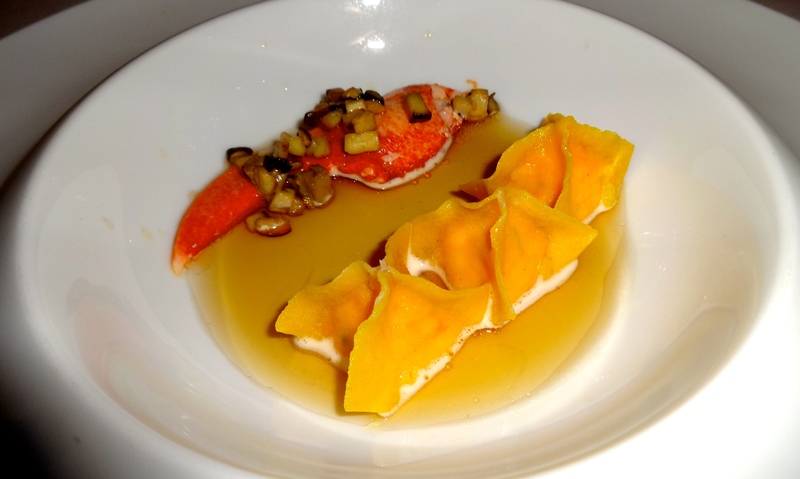 Ravioli with Lobster and Porcini Mushroom Broth (8/10). 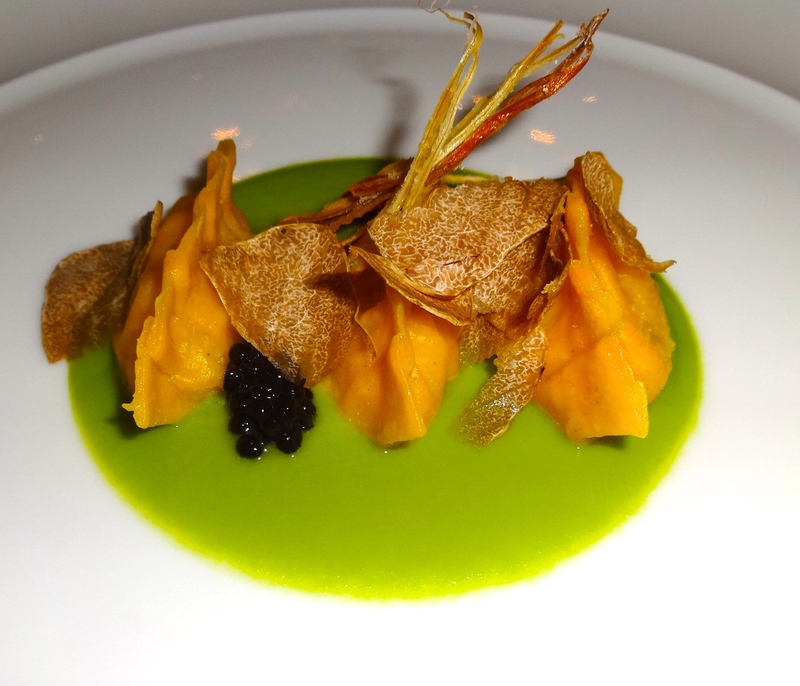 Mezzelune stuffed with Potato with Black Truffle and Green Onion Sauce (8/10). 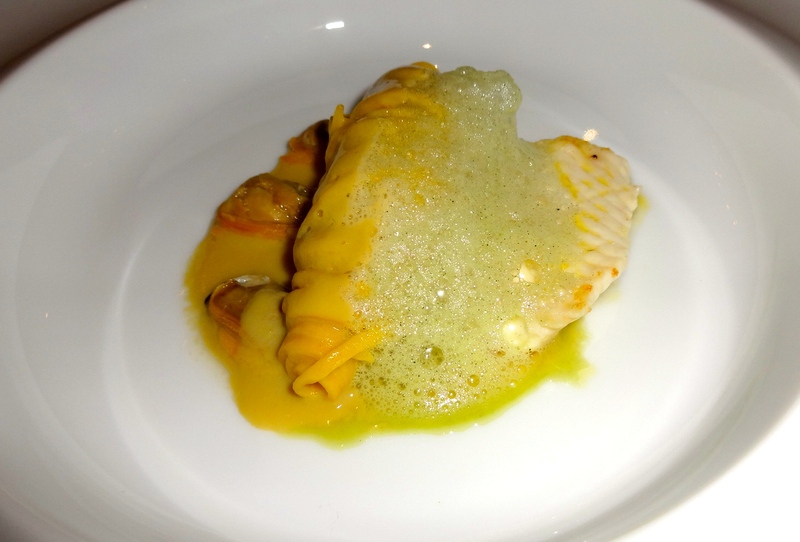 Tagliolini with Clams, Sole Fish, and Tarragon Foam (7.5/10). 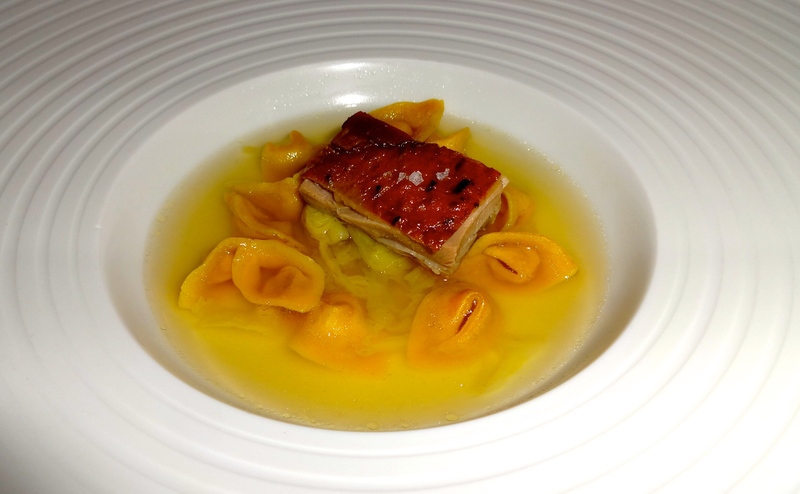 Cappelletti stuffed with Guinea Fowl with Savoy Cabbage and Broth (8/10). 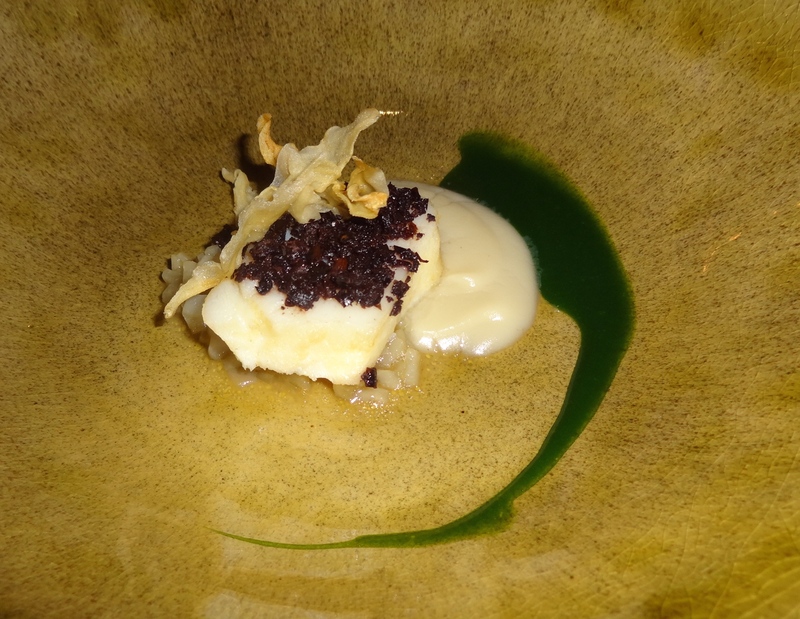 Cod Fish with Taggiasche Olives and Sunchoke Cream (7/10). Baby Pork with Lentils and Caramelized Apples (9/10). 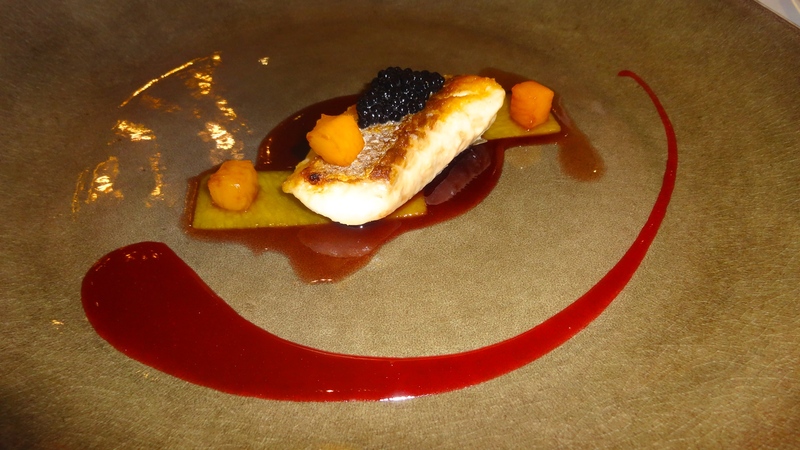 Sea Bass with Herring Caviar, Pumpkin and Red Wine Sauce (8/10). 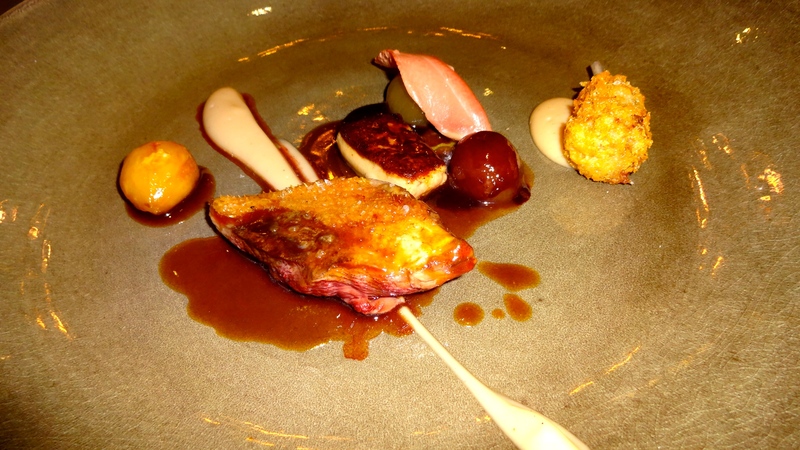 Squab Breast and Leg with Goose Liver, Grapes, and Chestnut Cream (9.5/10). 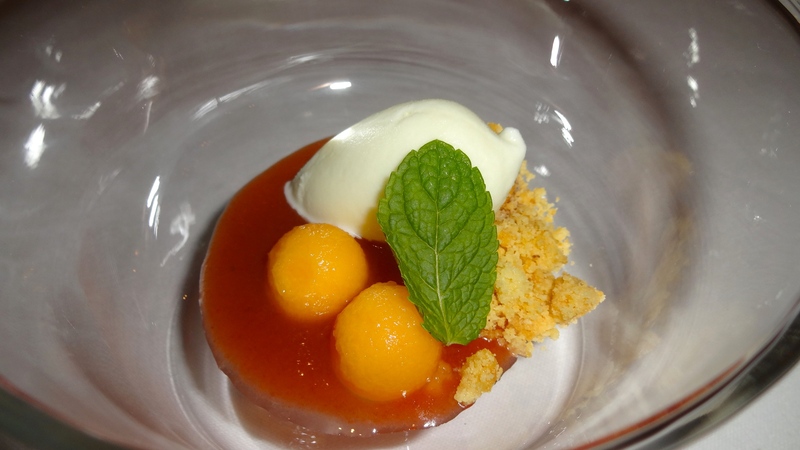 Pre-Dessert: Mint Ice Cream with Melon (8/10). Chocolate Cake with Gianduia and Chestnut (8/10). 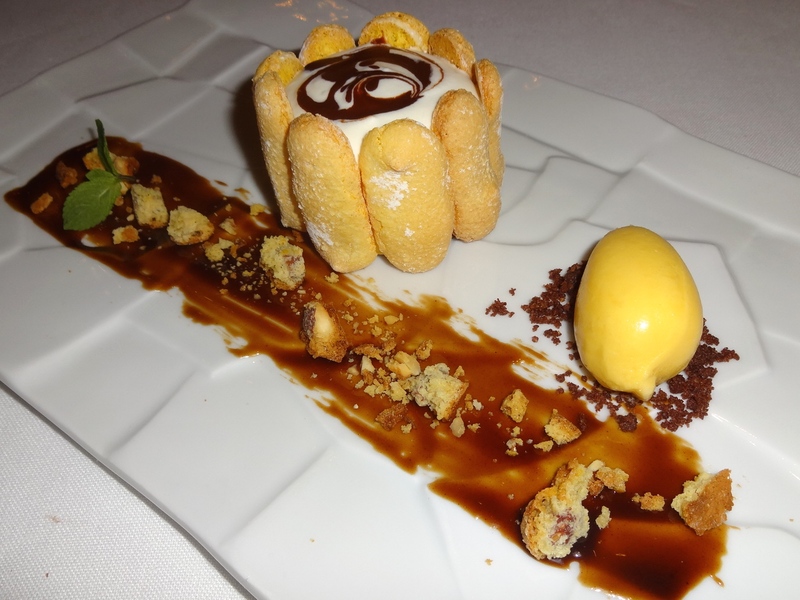 Tiramisu with Vin Santo Ice Cream (8/10). 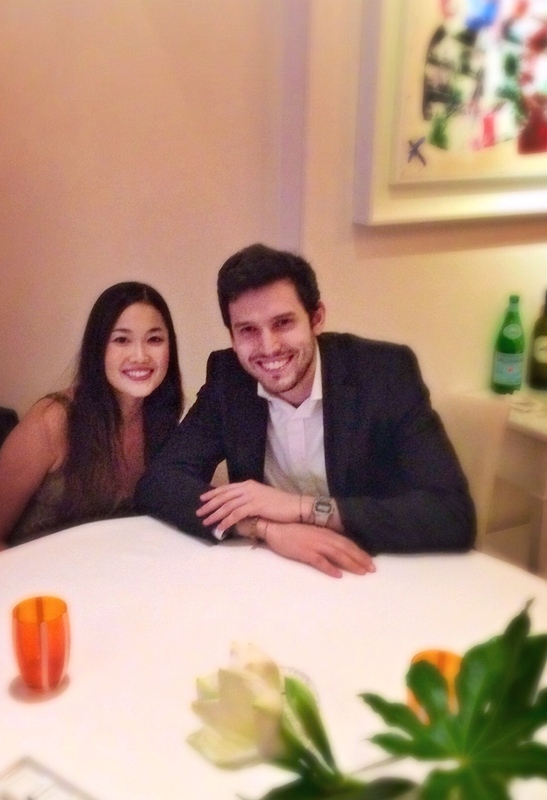 Arnolfo was the perfect restaurant to spend a special occasion. The ambience was romantic and elegant but not over the top. 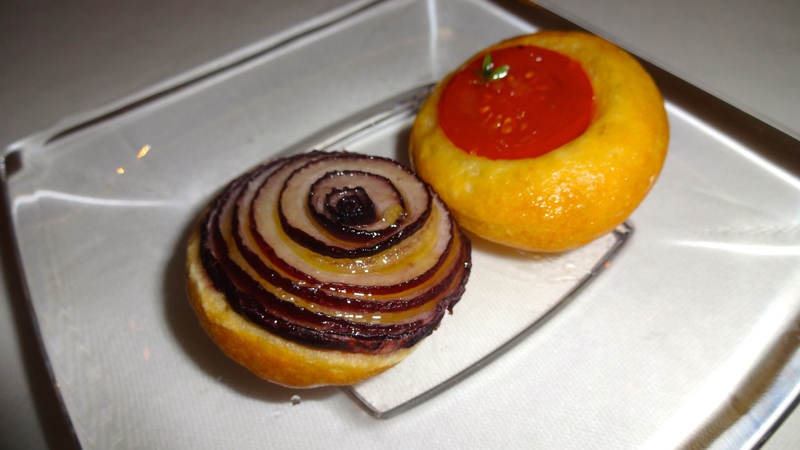 The food was exquisite in terms of presentation, originality, and flavor. 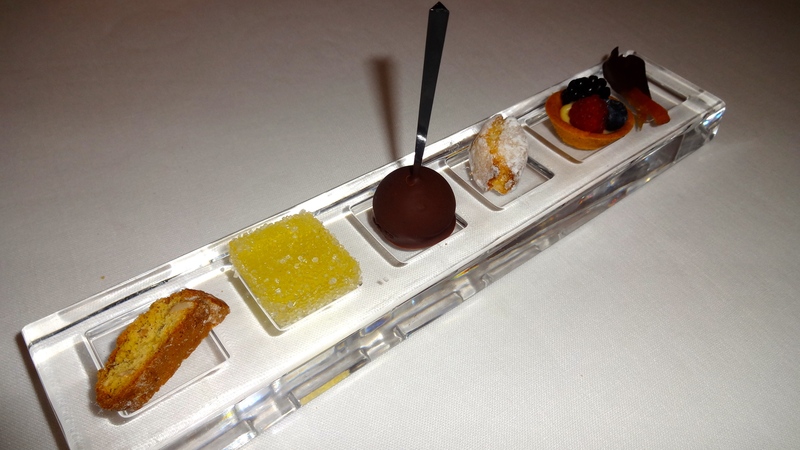 First, I loved that they served numerous amuse bouches that were all executed well and tasted amazing. 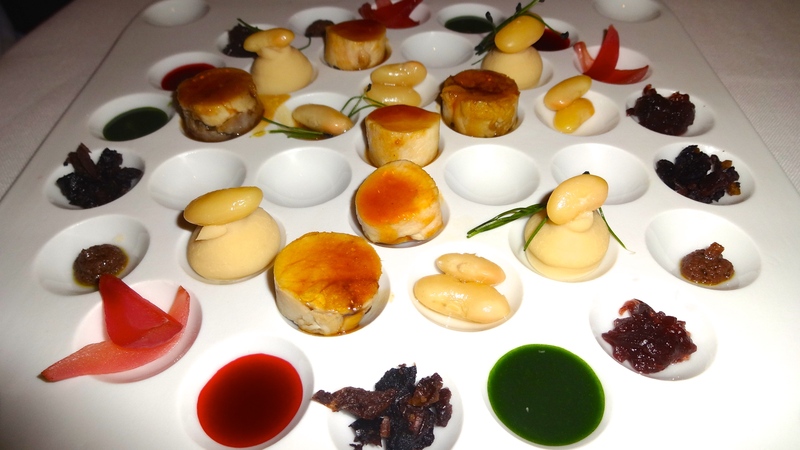 Some of my favorite dishes of the meal were the langoustine, scallop, baby pork and squab. 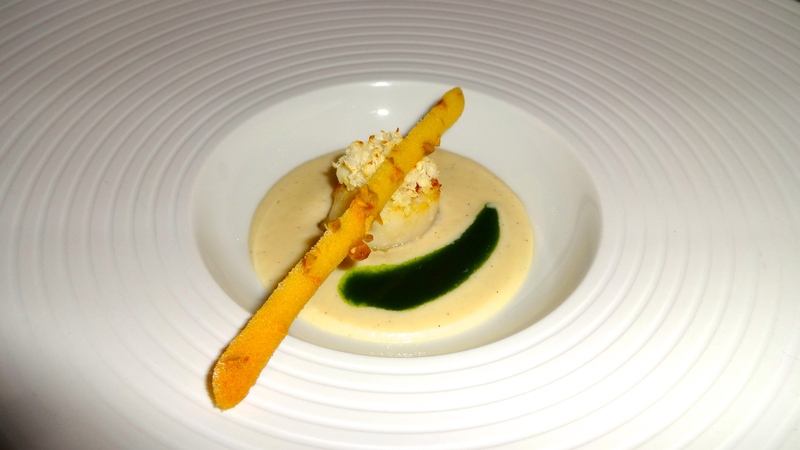 The langoustine with foie gras was a combination of ingredients that I would never think of. Sweet langoustine with buttery foie gras served with creamy pâté, crunchy crumble, and passionfruit sorbet was something truly wonderful. Somehow all the ingredients worked so harmoniously together. Another dish I loved was the scallop with vanilla cauliflower cream. Again, I never thought to put vanilla and cauliflower together but the flavor was divine! 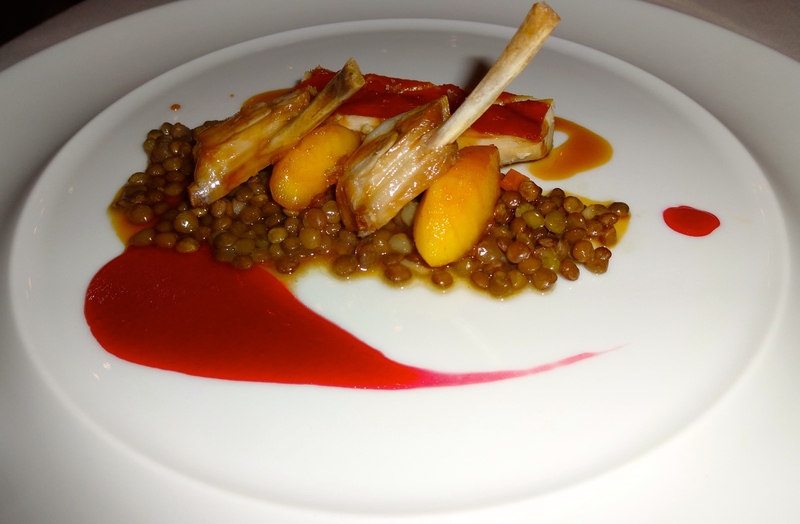 The baby pork with lentils and caramelized apples was another showstopper. The pork was extremely tender and paired perfectly with sweet caramelized apples. Lastly, the squab, one of their signature dishes, was outstanding. Perfectly cooked squab breast with juicy grapes, earthy chestnut cream, and rich goose liver was a great way to end the savory dishes. 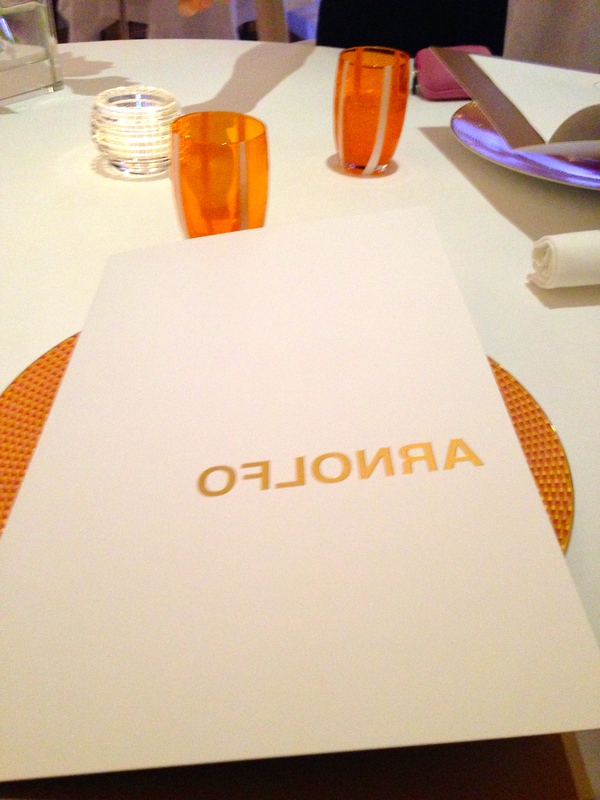 Arnolfo truly has been an extraordinary fine dining experience from the atmosphere, service, and food. Therefore, my overall rating is a 9/10. It will absolutely be a meal that I will never forget. Oh my gosh! That food looks delicious but also expensive. Beautiful aesthetic though. I wonder how a lot effort you put to make any such great informative web site.